Hard Tooling – Special Machined Shapes – AmeriKen Online! Custom punches can achieve tight corners and intricate angles that far surpass capabilities of steel rule dies. We can produce shapes with cut edge as small as .020″ wide. 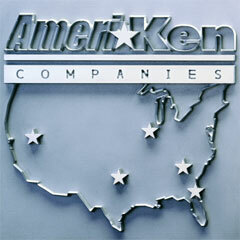 AmeriKen’s ultra sharp cutting edges prevent angle hair and excessive diecutting dust. Precision heights do away with the hassle of press adjustment. Folding and scoring are easier. To eliminate hand stripping specially dsigned punches utilize side outlet inerts for slug removal in the cramped places. Specialty punches can be engineered to they support the steel rule while cut edges are machined onto the block tool steel, thus eliminating tight spots and the need for costly special bases.